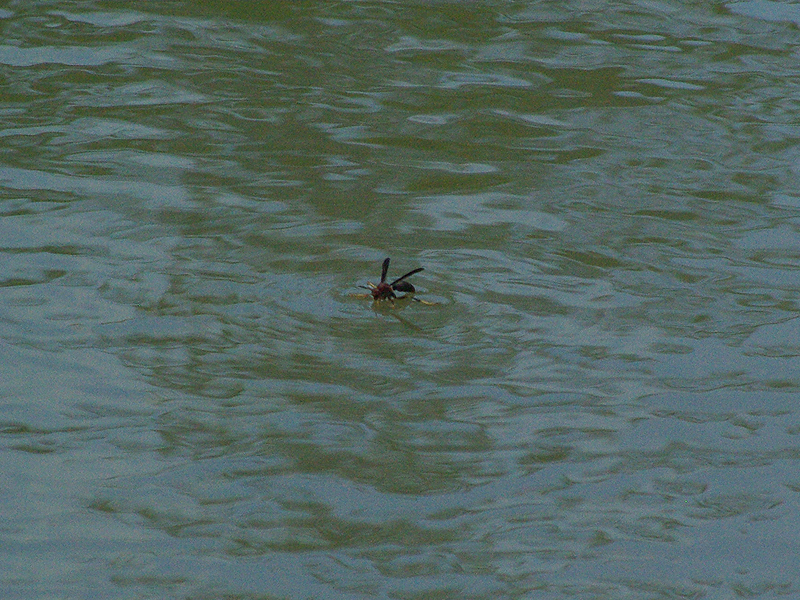 I observed these Paper Wasps landing on the surface of this pond in the Great Trinity Forest. 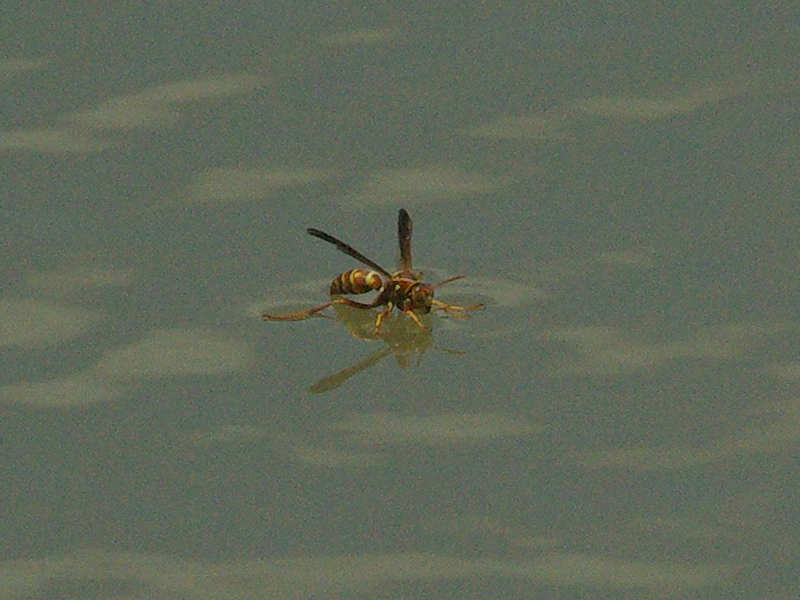 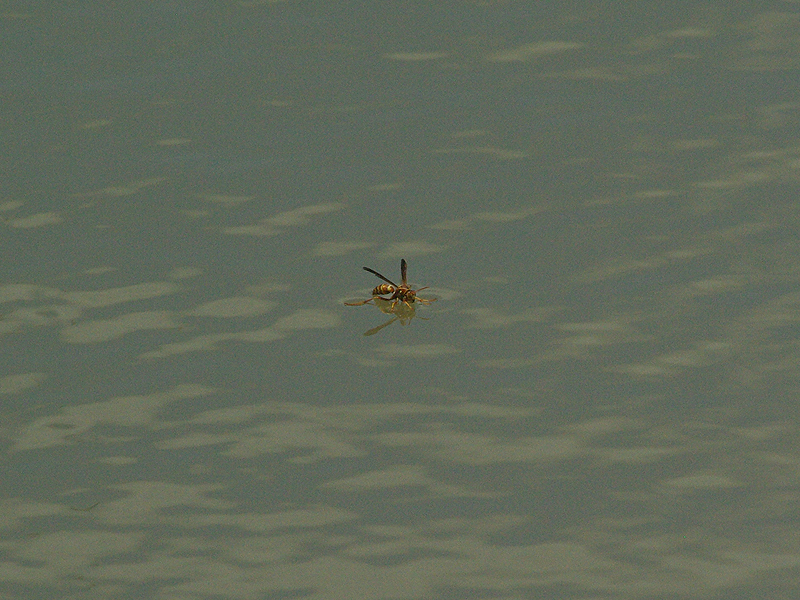 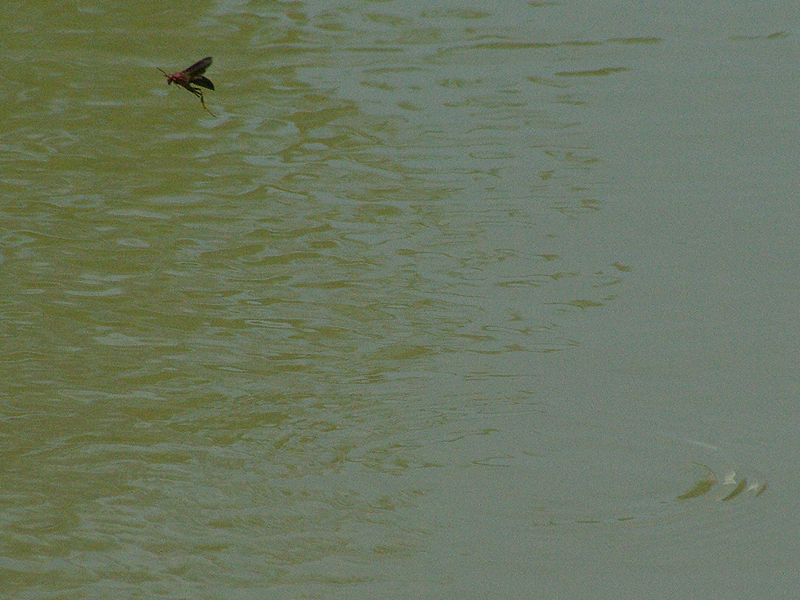 The wasps would land on the water, and then after a few moments they would take off again without difficulty. 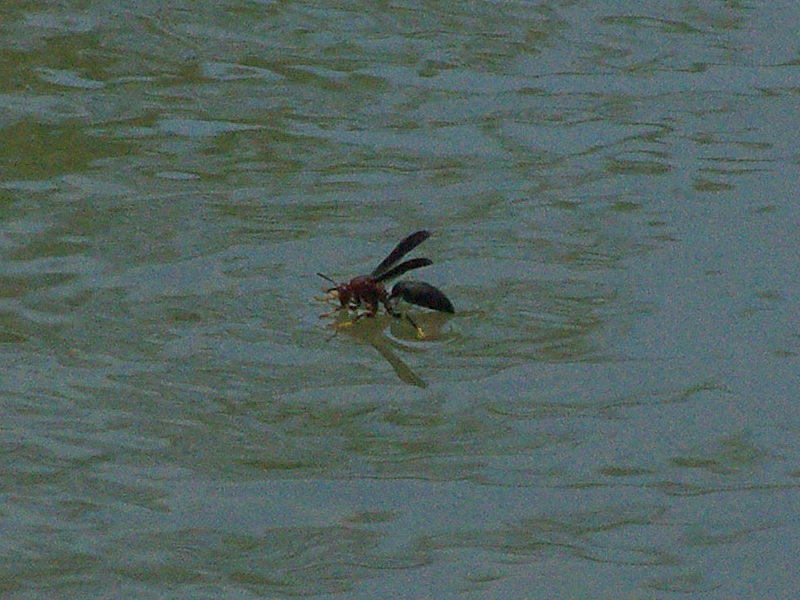 Presumably, the wasps are taking water to aid in creating the pulp they use to construct their nests. 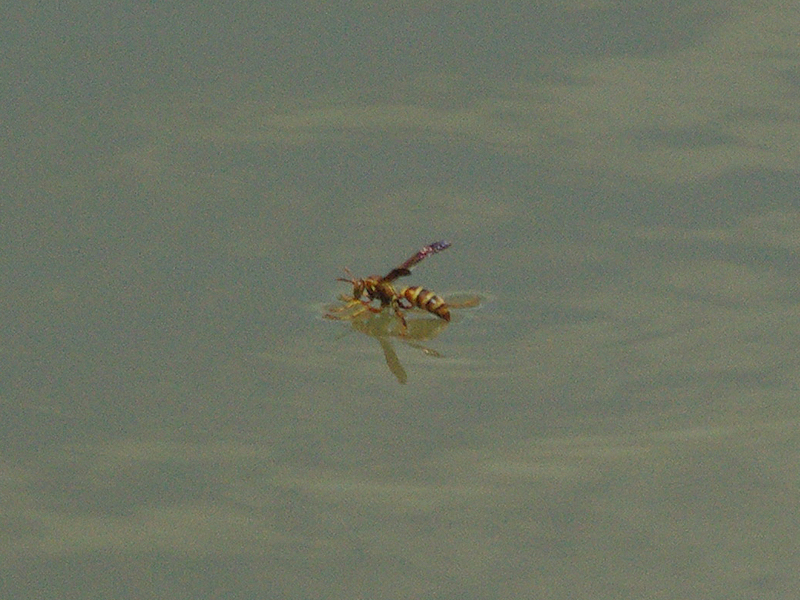 The pulp becomes paper when it dries, which is how this wasp got its name.